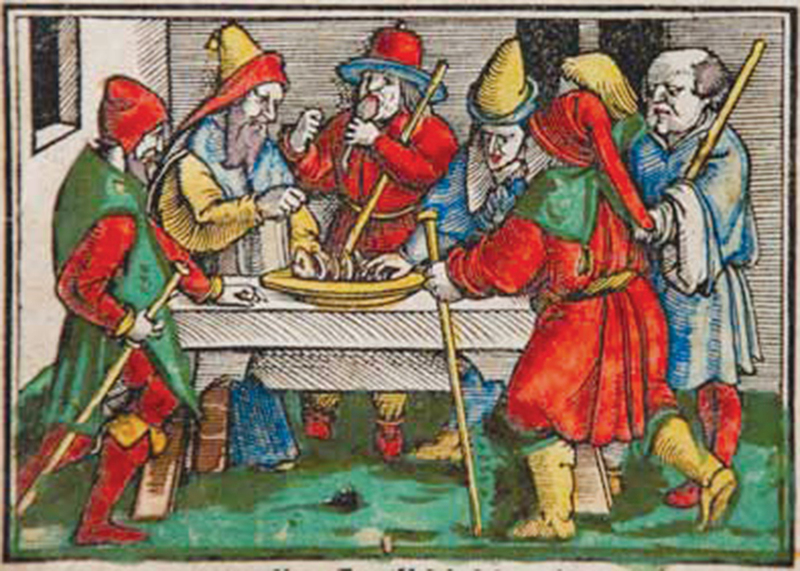 This image of a Passover meal appears next to Exodus 12 in a Bible published in Zurich in 1531. The idea of owning a family Bible, especially in one’s own language, was very new at the time for families of modest means. This particular Bible travelled from Switzerland to Pennsylvania to Ontario with the Reesor family of Markham. The colourful illustrations were designed to make the Bible more accessible to the average reader of the day. Notice that the feasters are wearing contemporary 16th-century clothing, not historically accurate garb. How are today’s Bibles designed to intrigue the reader?